Automate route planning. Cut costs. Paragon's advanced routing software helps fleet operators shed old-school route planning methods that drain company profits. Customers are demanding more frequent, precisely-timed deliveries, making the task of creating super-responsive, efficient routes far more complex than ever before. As a result, last-mile delivery costs are eating up a larger chunk of your operating budget, and your profits. In fact, these mounting pressures may be the reason you’re reading this right now. For fleet managers who try to tackle this complexity with rudimentary tools, route planning ends up being time-consuming, imprecise and highly inefficient. But there’s a better way. 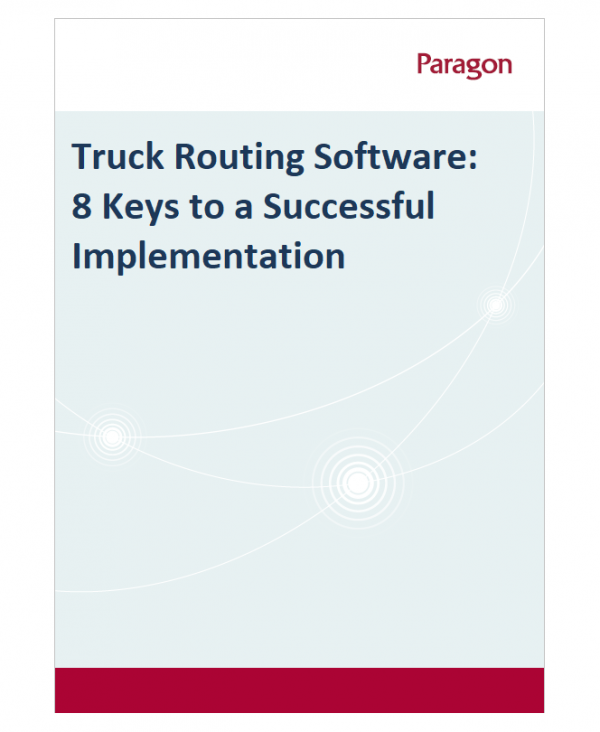 Paragon’s advanced routing software takes the guesswork out of truck routing. It helps you complete daily deliveries using less time, miles, trucks and drivers. And money. 10–30 percent savings are typical, with ROI on the software investment within months. Adapt delivery operations in response to rapid sales growth or major changes to your business. Maintain visibility of all your vehicles, all the time. Measure cost per drop, cost per mile and other key performance metrics. With 30 years of experience and 3,400 active system installations in 61 countries, we have the depth and range to help make your route automation project a success. Optimise your planning process, manage costs and maximise performance with our range of routing and scheduling modules. Offer cost effective home delivery services from the point of purchase using our modular order fulfilment system. Streamline delivery processes and improve customer service with electronic proof of delivery software. Use live planning data to improve the accuracy of your transport plan and gain increased visibility at every step.